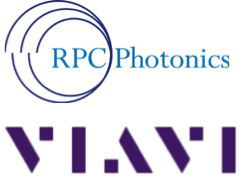 Ceres Technology Advisors, Inc. is pleased to announce the sale of RPC Photonics, Inc. (“RPC”) to Viavi Solutions Inc. (“VIAVI”) (NASDAQ: VIAV). RPC provides beam shaping solutions for 3D sensing to address a wide breadth of applications in facial recognition, gesture control, augmented reality and navigation for mobile consumer electronics, autonomous vehicles, medical devices and smart robots. RPC’s Engineered Diffuser™ product is a critical component for Time of Flight (ToF) and structured light 3D sensing. In combination with Vertical Cavity Surface Emitting Lasers (VCSEL’s), RPC’s proprietary solution is unsurpassed in illumination uniformity, efficiency, design flexibility, field of view, eye safety, and amenability to very high volume, cost effective production. RPC’s ToF beam shaping solutions are experiencing rapid adoption in smart phones for user-facing and world-facing applications. Its structured light solutions are replacing fingerprint sensors and enhancing photographic capabilities. In the automotive industry, RPC’s Engineered Diffuser™ products are applied to Advanced Driver Assistance Systems (ADAS) and LIDAR systems. Additional markets include LED lighting, displays, and high-power laser beam delivery for medical devices, displays and material processing. RPC is located in Rochester, New York – the US epicenter of optics manufacturing and fertile ground for highly skilled and innovate technical talent in the field of optics. The acquisition of RPC by VIAVI has significant strategic implications for both parties. With VIAVI’s industry-renowned operational excellence and its global distribution channels, RPC is now positioned to capture the majority of its addressable 3D imaging and sensing market for consumer electronics, automotive and smart robotics. RPC gains geographic access to key Asian consumer electronics supply chains. Further, it folds into VIAVI’s operational infrastructure that will allow its manufacturing operations to reliably and cost effectively scale at a very rapid pace to meet the burgeoning demand of its consumer electronics customers. CERES worked closely with RPC to position the business for sale to a strategic buyer. Consuming a minimum of RPC’s internal resources, CERES leveraged its network and hands-on finance and marketing experience. “From a broad network and intimate knowledge of the photonics industry, CERES readily identified many excellent strategic fits for the business and led the execution of a straightforward transaction with VIAVI, a truly strategic organization with whom PRC is thrilled to partner” says Mike Morris, Founder and CEO of RPC. More information on this acquisition is available on the VIAVI investor website.